I’ve spent the last few weeks tweaking this WordPress theme to include semantic HTML5 elements, basic SEO/meta tag prep, and code minification. I wanted to be sure this site loads fast, is indexable by search engines, and features clean and minimized code! I put together this list as a “first-stop” in prepping a WordPress theme for the web in 2018. My aim was to keep it to a manageable chunk of tasks that could be accomplished on a Sunday afternoon. Hope you find it helpful! remove_action('wp_head', 'wlwmanifest_link' ); // Display the link to the Windows Live Writer manifest file. remove_action('wp_head', 'adjacent_posts_rel_link', 10, 0 ); // Display relational links for the posts adjacent to the current post. HTML5 introduced a few new HTML tags that can easily be worked into our templates, which will improve our SEO rating and make our site more accessible via screen readers. The top navigation area of the template that is shared on all pages – contains the site title, main navigation menu, and anything else at the top that is shared by all pages. The beginning of our article or blog post – contains the unique title of the post (not to be confused with the title of the site itself), as well as any author and publication date information. More information on the <header> tag is available here. 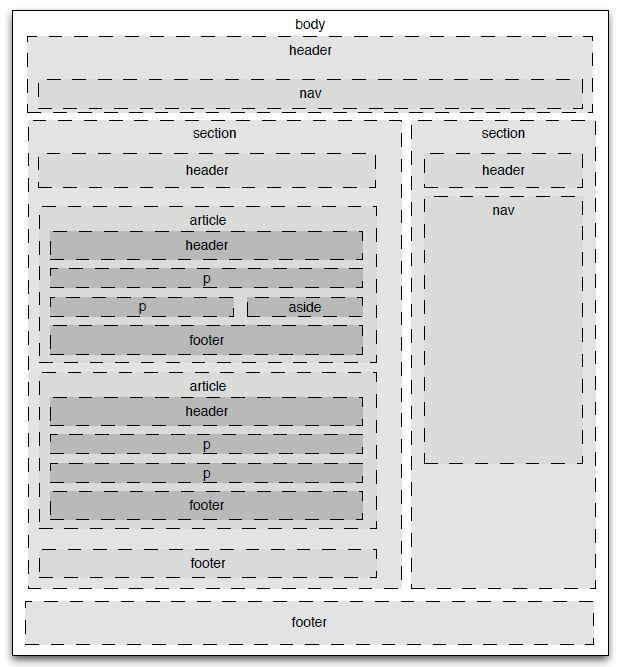 Probably the easiest of our semantic tags, the <footer> element is used at the bottom of our page HTML, and encompasses any information, links, etc. that is shared between pages. Footer tags can also be used at the bottom of an <article> tag (discussed below) to house things like comments or footnotes. More information on the <nav> tag is available here. The <nav> is used wherever our template features navigation items. A good guiding principle is to include any items or links in a <nav> element that you would want skipped by a screen reader. I used the <nav> element for the top navigation of this theme. The <article> tag is powerful, and can be used to signify any content that could be replicated or distributed on its accord. To help understand exactly what we need inside of the <article> tag, imagine one of our posts being printed like a news article, and distributed by hand around town. In that scenario, we would only want the essentials included: unique post title, author information, publication date, and post content itself; we would not need our site header, navigation, or footer information. More information on the <article> tag is available here. An interested tag, <time> is used to specify the publication date in a machine readable format (often ISO8601). This is picked up by search engines and allows them to easily index the publication date of our post. Similar to an <href>, the human readable date is included in-between the opening and close <time> tags, while a “datetime” attribute is used to specify the date in machine readable format. Medium makes good use of the <time> element. Luckily with WordPress there are several plugins that can take care of generating the sitemap and robots.txt file for us (some will even proactively submit them to Google and search engines on update). The plugin I went with is called Google XML Sitemaps. After installing it and minimal configuration, I had a dynamic sitemap.xml and robots.txt file available. Its just that easy! I am continuing to research other ways to speed up page delivery including using things like using CDNs, cache headers, and Gzip compression. Another topic that has been very important on other site’s I’ve managed is Image Optimization – I’ve been playing around with the EWWW Image Optimizer Plugin with great success. Hope this article was helpful, and stay tuned for more updates!